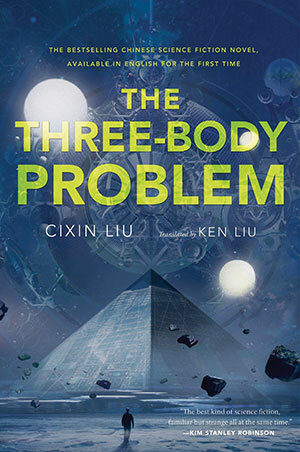 In its opening pages, The Three-Body Problem plunges us into the Cultural Revolution. It is 1967. Ye Zhetai, a professor of theoretical physics at Tsinghua University, is undergoing a verbally and physically savage “struggle session” that leads to his death. His crime? Teaching ideologically reactionary subjects such as relativity, quantum mechanics, and the big bang theory. Watching is his daughter Ye Wenjie, whose view of humanity is forged by this event. Ye is sensitive, brilliant, incorruptible, and utterly convinced that the human species is irredeemably evil. Soon thereafter Ye, an astrophysicist by training, is offered a job in a mysterious, highly secret military base. 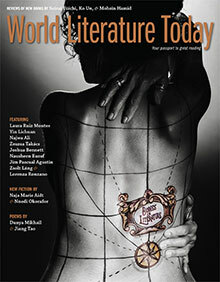 She accepts, then seemingly disappears from the novel, which jumps ahead about forty years. In our time, nanotechnologist Wang Miao learns that the world’s most eminent scientists have been committing suicide, leaving behind cryptic and discouraging notes like “Physics has never existed, and will never exist.” Investigating, Wang discovers that the suicides were triggered by anomalous results of advanced experiments, results that bring into question fundamental laws of nature. Then Wang himself begins to experience alarming, inexplicable phenomena. While all this is going on, Wang happens across a computer game called Three Body. He logs on—and in so doing initiates the novel’s second narrative: his avatar’s adventures in the bizarre, decidedly nonterrestrial world of the game. For a while this parallel story seems unrelated to Wang’s investigations in the real world, but the two are deeply related—and that relationship is the core of Liu’s audacious premise. In this country, Ken Liu’s masterful translation has been nominated for three major prizes: the Hugo, Nebula, and John W. Campbell Memorial awards, each given to the best SF novel of the year. That would be a major accomplishment for any novel; for a novel in translation by a writer very few English-speaking readers are likely to have heard of, it is phenomenal. Interested readers, however, should know what they are getting into. First, The Three-Body Problem is the initial novel in a trilogy, cheerily entitled Remembrance of Earth’s Past. No problem. Its ending is thoroughly satisfying, even as it leaves us eager for the next volume, The Dark Forest.